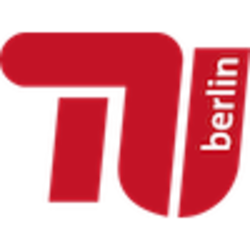 Want to see all the technologies used by tu-berlin.de? The internationally renowned Technische Universität Berlin is located in Germany’s capital city at the heart of Europe. Our academic activities are focused on achieving sharply-defined goals: building a distinctive profile for our university, ensuring exceptional performance in research and teaching, providing our graduates with excellent qualifications and a modern approach to university administration. The TU Berlin strives to promote the dissemination of knowledge and to facilitate technological progress through adherence to the core principles of excellence and quality. Strong regional, national and international networking with partners in science and industry are an important aspect in these endeavors. The goals of the Excellence Initiative by the German federal and State Government to promote Science and Research at German Universities are to support top-notch research at German universities, to strengthen Germany’s position in terms of the quality of its university system and as a hub for science and technology, in addition to improving international competitiveness. The graduate school "Berlin Mathematical School" and the cluster of excellence "Unifying Concepts of Catalysis" received funding from this nationwide competition. For a quick look at additional technographic info on tu-berlin.de or any domain on the web, download our Chrome Extension. Check out our help article to see how Datanyze Insider can help you.